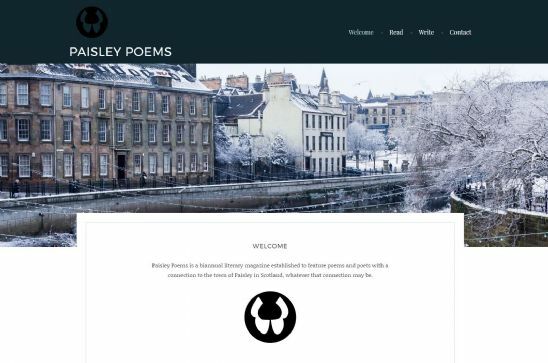 Paisley Poems is a biannual literary magazine established to feature poems and poets with a connection to the town of Paisley in Scotland, whatever that connection may be. The site gives visitors the opportunity to purchase the magazine or make a submission to a future issue. The site clearly has a geographical subject matter, so the use of a DotScot domain name makes absolute sense. If you'd like a dotscot domain for your website or email, why not purchase your choice with a Scottish ISP.